A sleek and super modern desktop-like interface for Vanilla derived from the Sentry application. 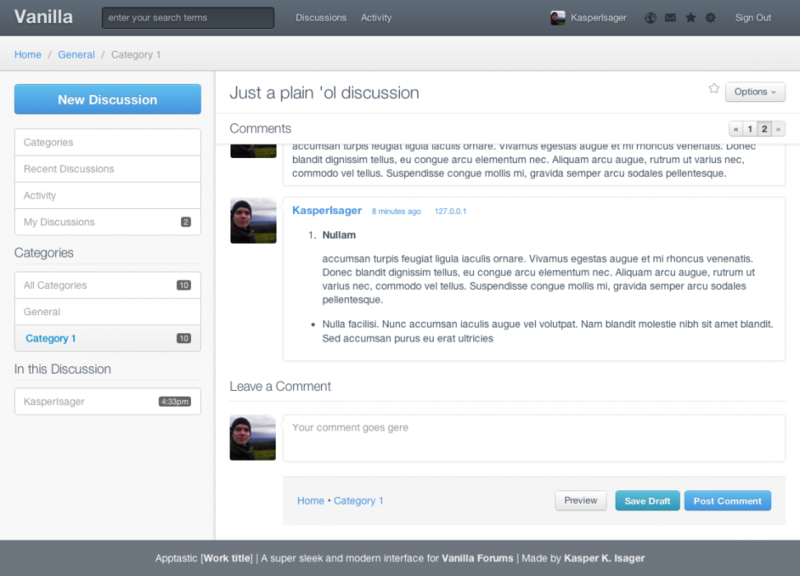 The theme is based on the Bootstrap framework by Twitter and built using Austere as well as the Compass framework. This is NOT a ready-to-use theme and is merely meant as a canvas of ideas. Feel free to fork the theme on Github and send me a pull request if you have some great code you want to share.